* The transaction fee is £0.00 for E-ticket (Print-at-home) or £3.00 for Standard Delivery. Founding member, lead singer, and bass player of Kansas City blues-rock band Trampled Under Foot, Danielle Nicole stepped out on her own in 2015 with her debut album “Wolf Den.” In 2018, Nicole returns with a follow-up release via Concord Records. "I grew up playing the blues, and the blues is still a big part of what I do. But now I'm reaching out more and trying different things. It still sounds like me, but I'm stretching out a lot more than I have previously." Nicole's distinctive, inventive bass work—which resulted in her becoming the first woman to win the Blues Foundation's 2014 Blues Music Award for Best Instrumentalist, Bass—is the product of years of intensive roadwork. Although she had no experience with the instrument when she became Trampled Under Foot's bassist, now she can't imagine life without it. "When I started doing my solo thing," she continues, "someone asked me if I was gonna hire a bass player. No, of course not! I originally picked up the bass to keep Trampled Under Foot a family band, but I really fell in love with it. It was a huge challenge, and it still is. But I really love being part of the groove and getting to sing on top of that. I had learned some stuff on acoustic guitar before I started playing bass, but I never really felt connected to it the way I do with the bass. It's empowering, walking onto a stage full of grown men who can play their asses off, and it's 'OK, I'm gonna play this bass, we're gonna do this, and it's gonna rock.'" 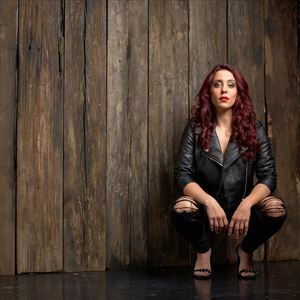 Rounding out her band are longtime Danielle Nicole Band guitarist and multi-instrumentalist Brandon Miller, and drummer Rodd Bland, son of blues legend Bobby “Blue” Bland, who earned his chops playing in his dad’s band and later with BB King. "I think that it's a good time for the kind of thing I'm doing," she states. "From my years of playing blues festivals, I've seen that younger and younger audiences are getting into the blues. I think that people want to hear authentic music again."